Photo by Jess Mancini From left, Josh Campbell and Rocky Peck in the office of the new Narrow Gate Event Center where auctions, sales and events such as receptions will be held. The facility is located on Old St. Marys Pike. Photo by Jess Mancini From left, partners Rocky Peck and Josh Campbell are opening the new Narrow Gate Event Center for auctions and other public and private assemblies. Peck is a licensed auctioneer and Campbell is an accountant. The third partner is Dee Peck, Peck’s wife. 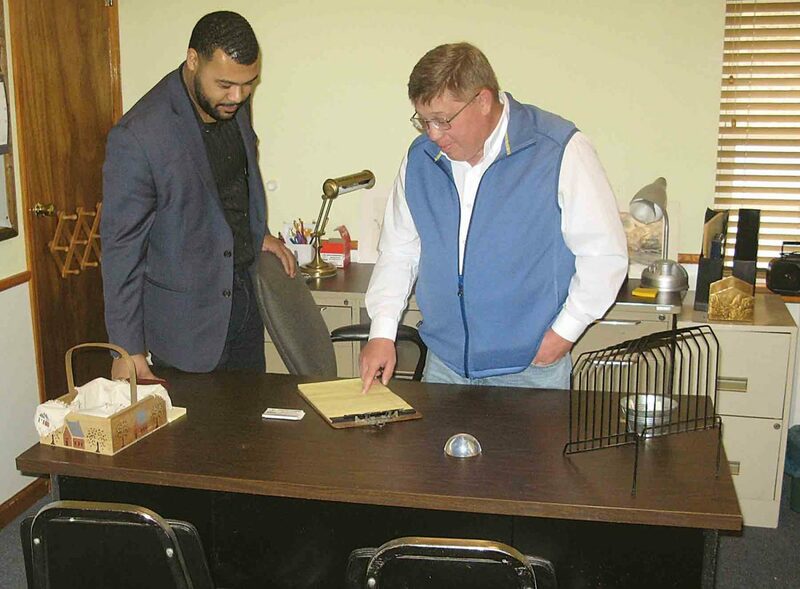 PARKERSBURG — What went around came around for Rocky Peck, a local auctioneer. Peck, his wife Dee and Josh Campell, an accountant at Astorg and Jones, are partners in the new Narrow Gate Event Center on Old St. Marys Pike where Peck plans to headquarter his auctioneering company, hold auctions and sales and rent for weddings, meetings and other gatherings. 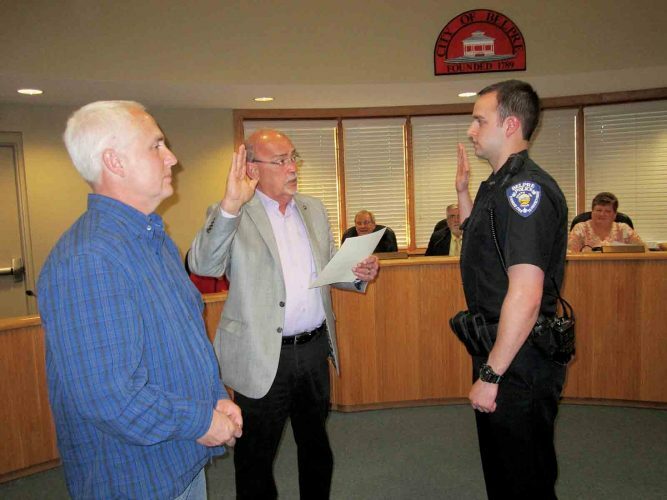 “There’s a lot of potential,” said Campbell, who also is a city councilman in Belpre. “I’m very happy to be a partner with the Pecks,” he said. The site is the former Narrow Gate Baptist Church. Peck and his father, Harold, acquired the land in the 1990s and built the building; the church bought the property in 2001, Peck said. The church congregation dropped in size and it became too much building to maintain, he said. 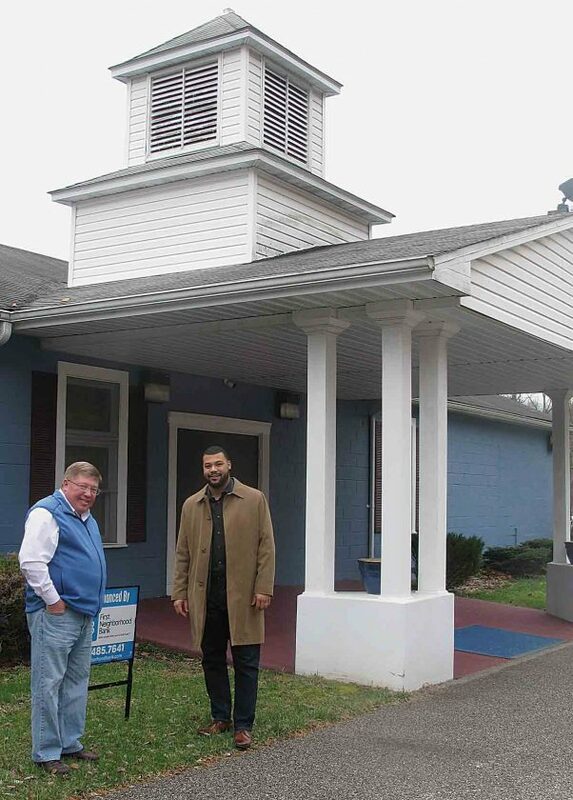 Peck, a licensed auctioneer with the state of West Virginia, said his financial situation enabled him through First Neighborhood Bank and with the help of Roger Hanshaw of Bowles Rice, a law firm, to buy the building and surrounding 7 acres from the church. “It truly is a blessing,” he said. The former sanctuary can easily be used for weddings and receptions, meetings or other public assemblies, Peck said. It can seat 120 people, Peck said. Auctions will be scheduled on Saturday mornings, Peck said. Other events can be scheduled in the evening, he said. The facility, which includes a kitchen, has several offices, enough to locate a new business involved in the acquisition of properties at sheriff’s sales, Peck said. Little is being done to the interior, aside from moving things around, to get ready for a May 9 grand opening, he said. The pews that aren’t being sold will be used for additional seating, Peck said. A sign will be erected that was made by SW Resources in Parkersburg, he said. “We can hold an auction tomorrow if someone wants to,” Peck said.